John Hiller played for 15 seasons (1965-80), all for the Tigers. He pitched in 545 games, all but 43 in relief. 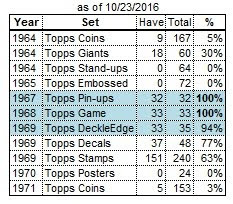 The most games he ever started was 12 in 1968 and 8 in 1969. 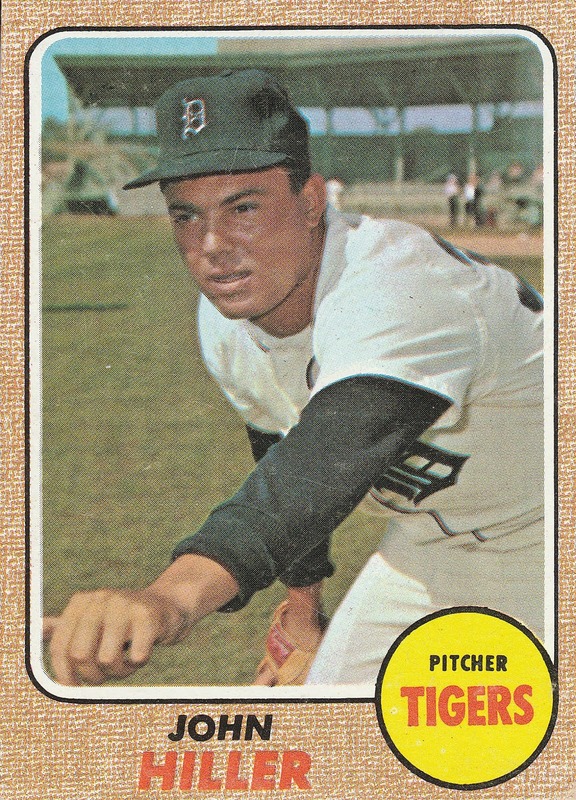 Hiller was signed by the Tigers in June 1962, and pitched in the minors from 1963-64, before making his big-league debut in September 1965. 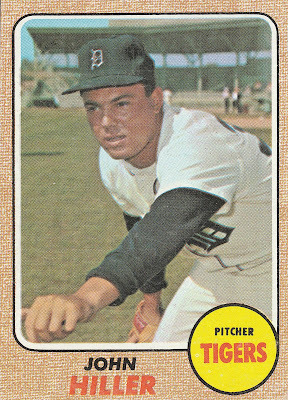 He pitched 1 game for the Tigers in April 1966, but returned to the minors for the rest of the season. 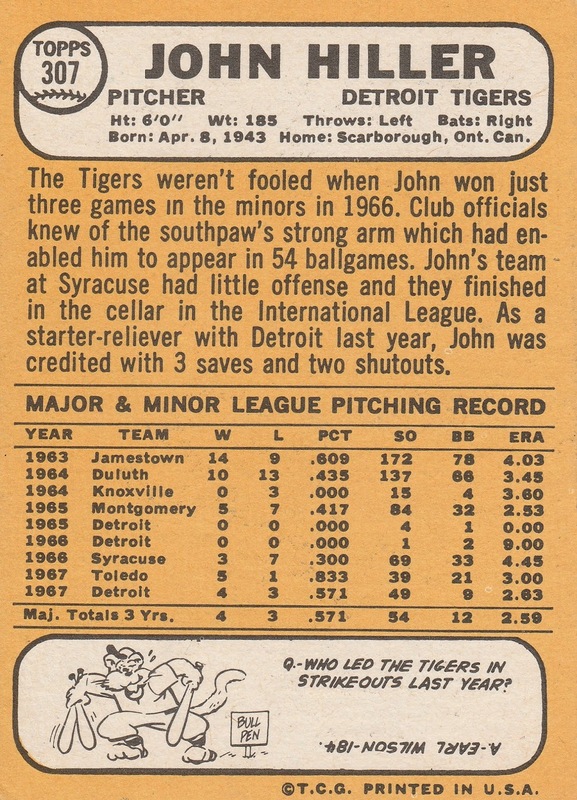 John began the 1967 season in the minors, then was called up for the 2nd half of the season. He made the Tigers to stay beginning in 1968. Hiller pitched 2 innings in the 1968 World Series, but gave up 4 runs for a 13.50 ERA. After having a heart attack in January 1971, he missed all of 1971 and the first half of the 1972 season. Hiller's best years were 1973 and 1974. In '73, he led the AL in saves (3), games (65), and games finished (60), and had a career-low 1.44 ERA while winning 10 games. He also finished 4th in the Cy Young voting. In '74 he won 17 games (all in relief) and made his only All-Star team. 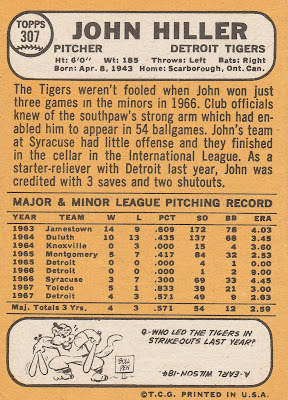 John led the Tigers in saves from 1973-76, and again in 1978. 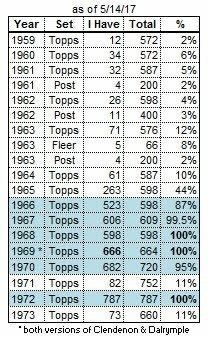 1980 was his final season. After pitching 11 games in April and May, he retired as the Tigers' all-time leader in games pitched. At that time, he was 4th on the career saves list, behind Sparky Lyle, Hoyt Wilhelm, and Rollie Fingers.